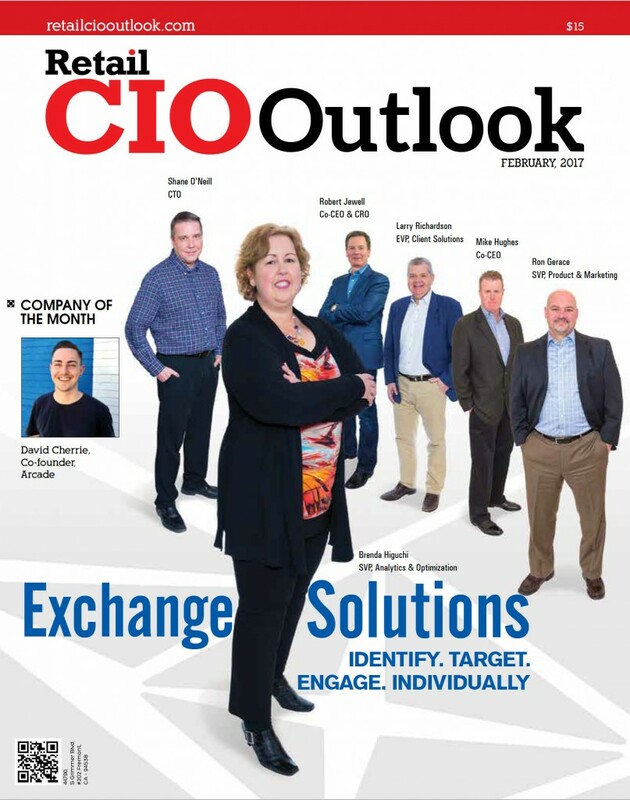 “We are delighted to rank Exchange Solutions as a Top 10 Analytics Solution Provider featured in the Analytics Special Edition,” said Katie William, Managing Editor of Retail CIO Outlook magazine. We’ve earned this recognition for our unique use of advanced analytics in providing innovative customer engagement and loyalty programs that help retail and e-commerce businesses increase valuable customer behaviors, such as increasing basket size and frequency of purchase, in order to drive incremental sales and margin while reducing marketing spend. To find out how our solutions can help your retail or e-commerce business, don’t hesitate to contact us.